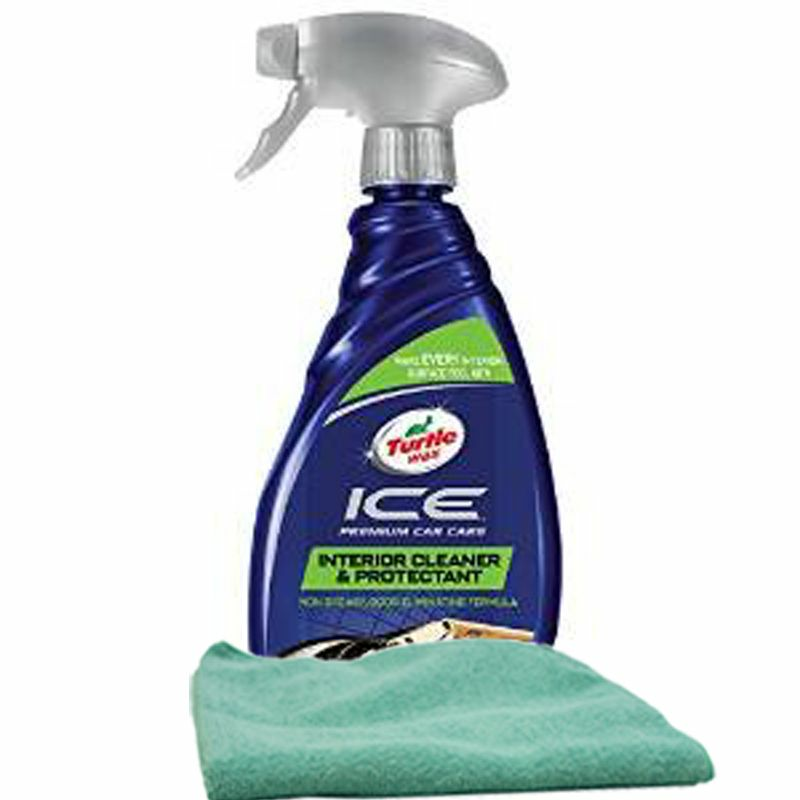 ICE® Total Interior Care Spray is a unique "all-in-one" automotive interior care product to clean, shine, and protect all of today's interior soft vinyl, plastic, leather and composite hard surfaces. ICE Total Interior Care is perfect for cleaning large areas, and provides easy one step cleaning without the greasy feel or left over residue of other spray interior protectant products. spray directly onto stain and rub gently with a soft cloth.